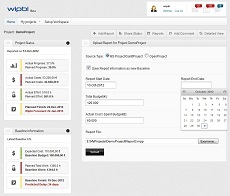 WIPBI deepens on the idea of using project dashboards as a tool for Project Managers to easily control and report project status to stakeholders. 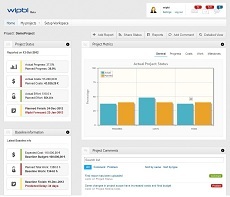 It is based on recommended project metrics, Earned Value and Earned Schedule among others, which are useful to anticipate problems, delays and costs overrun. 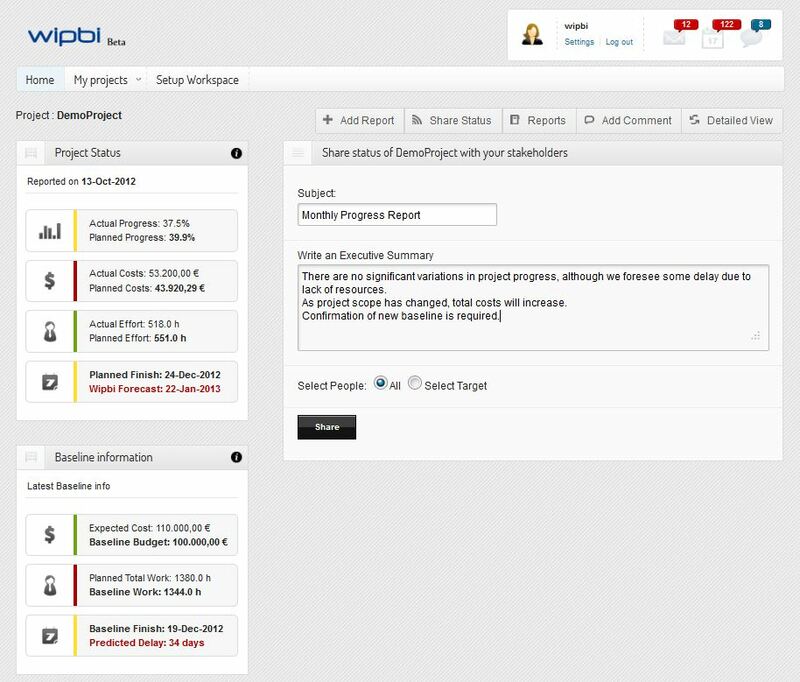 Step-1 Upload project status from different sources, such as MS Project, Openproj, etc. 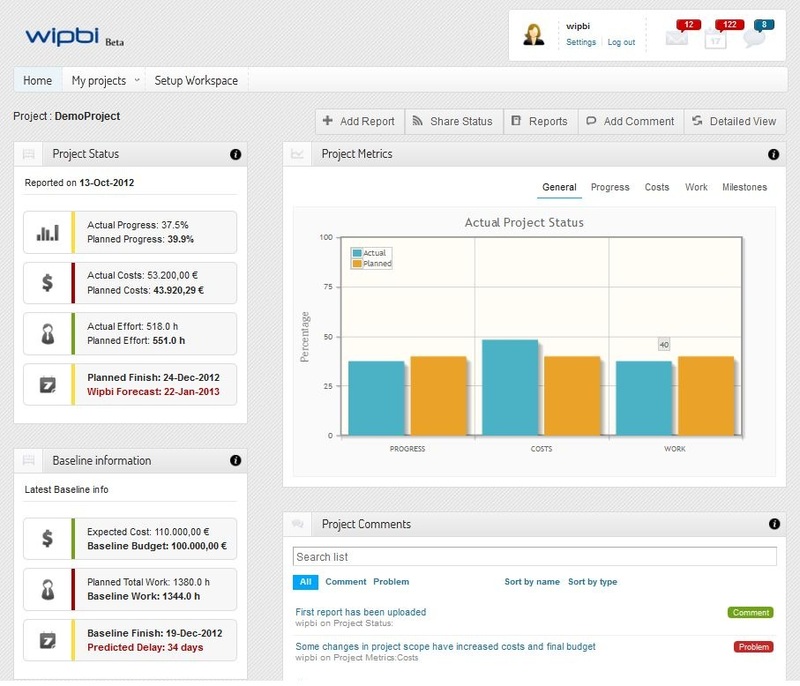 Step-2 Control your progress dashboard and insert relevant comments and project updates. 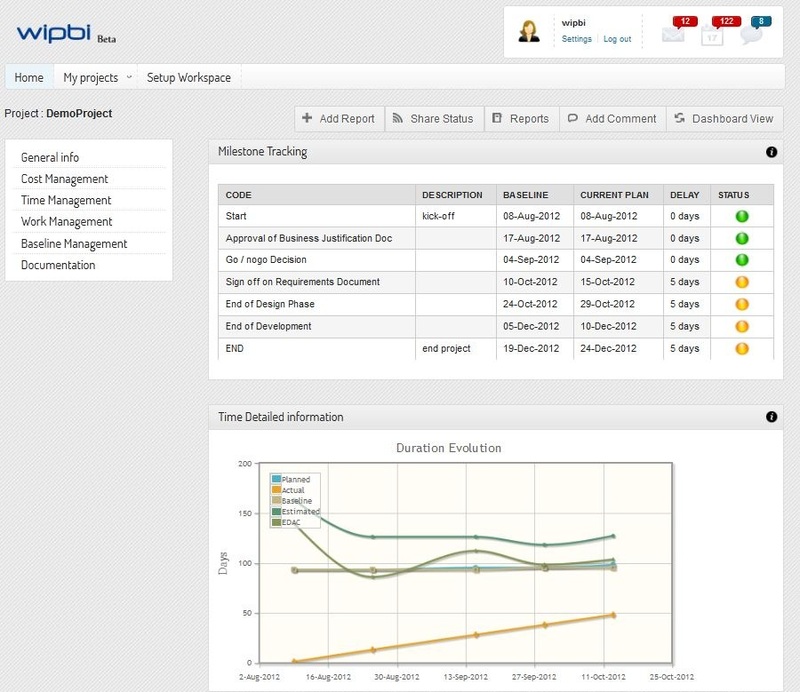 Step-4 Generate a progress report and send it to your stakeholders to receive feedback and approvals. Please fill out the form below if you have any questions, or just to tell us how you would like to use WIPBI. We are looking forward to hearing your opinions. Some errors occurred, please try again. The eMail was sent correctly. 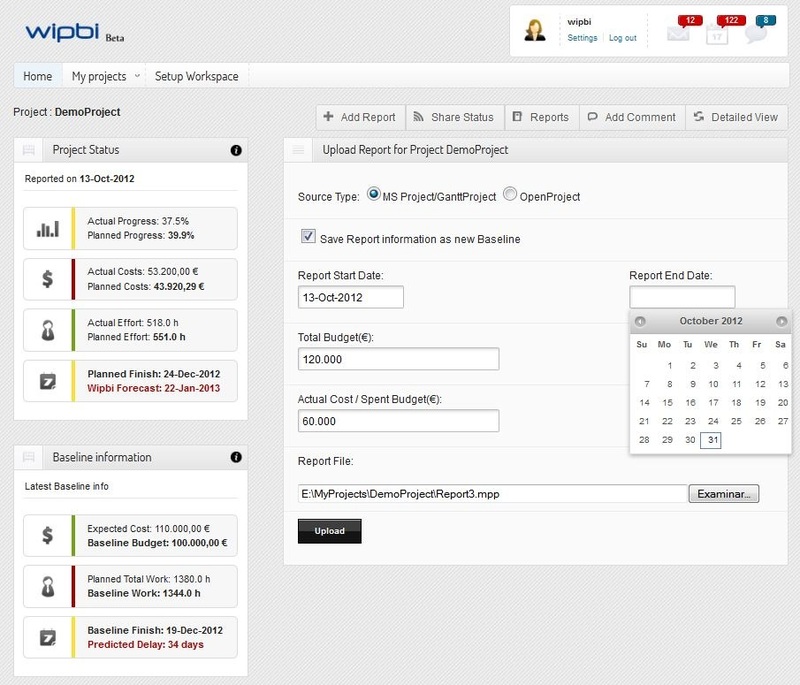 WIPBI is also available for on-premise installations. 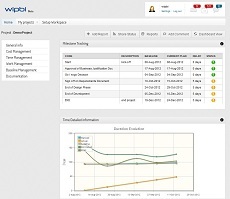 Contact us at www.immediait.com if you need a custom solution for your organisation.